The 2016 Kia Optima continues to turn heads thanks to its distinctive design, incorporating sweeping aerodynamic lines, an aggressive front fascia, and a refined interior. The Optima is in its fourth year of the current generation, which continues to hold its own both in performance and in value. The 2016 Optima comes in five trim levels including the Kia Optima LX, LX Turbo, EX, SX Turbo, SXL. The three engine choices include a new 1.6-liter turbocharged four-cylinder engine produces 178 hp and 195 lb-ft of torque, an impressive 2.4-liter four-cylinder achieves 185 hp and 178 lb-ft of toque, and a turbocharged 2.0-liter engine generating 247 hp and 260 lb-ft of torque. Inside, the base 2016 Optima offers all the basics, and as you move up in trim levels, a ton of features and upgrades are added for impressive value, like Kia’s Uvo electronics interface system, heated and ventilated seats, and touchscreen interface with navigation. The cabin is spacious, comfortable, and features a smart, practical design. The 2015 Kia Optima has amazing safety features to keep you and your family safe when behind the wheel. The 2016 Kia Optima has an available 360-degree monitor, Advanced Smart Cruise Control, Blind Spot Detection, Rear Cross Traffic Alert, and Autonomous Emergency Braking that can bring the vehicle to a complete stop if it detects an impending collision. If you’re looking for incredible value, modern technology, and high-end features, the 2016 Kia Optima is a sure fit. 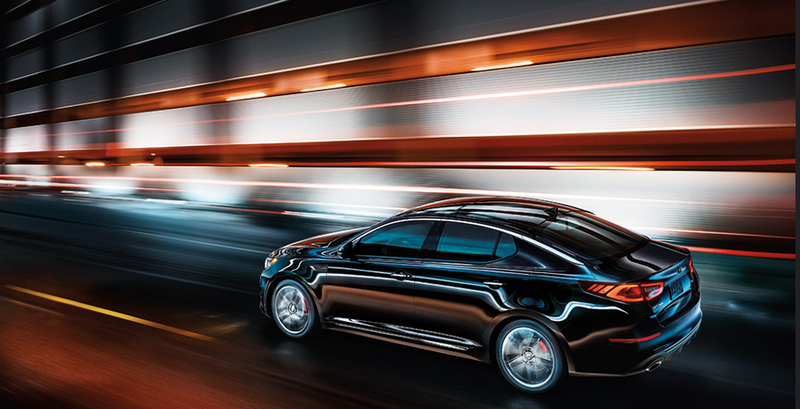 Stay in touch with Carriage Kia to find out when the 2016 Kia Optima will be arriving. In the meantime, learn more about the 2015 Kia Optima.